One of the things that I frequently encounter as a teacher of the Bible is that people believe the birth narratives of Jesus, particularly the miraculous parts of them, prove his divinity. That is so typical of us Moderns, with our need to have our beliefs based on provable facts. The truth is, however, that the birth narratives, particularly the miraculous parts, were never written to prove anything. The reality is that miracles don’t prove anything. They might to those who are witnesses to them, but not to anyone else. Think about it—if someone told you of some miraculous thing that happened to them, you’d be initially skeptical, right? If they weren’t able to show you proof of the miracle, your belief would be based totally on the trustworthiness of that person. If they were known drug abusers, or had a habit of exaggerating, or were part of a religious cult, you’d be wise to question or dismiss their claim. If they are someone you trust, you’d perhaps be inclined to believe them. Maybe. But in the end, even after all his miracles, Jesus died alone and abandoned. Until the resurrection. That changed everything. 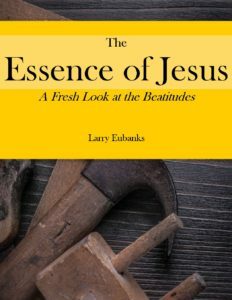 That’s when his followers knew that Jesus was no ordinary man. The resurrection is the one miracle that produced faith and led people to conclude that Jesus was the only begotten son of God. So back to the birth narratives. There are only two, and they weren’t written until well after the resurrection—probably in the 70’s for Matthew, the 80’s for Luke. 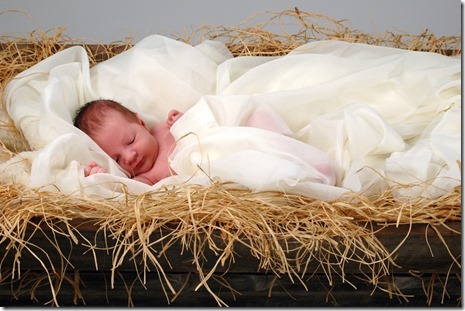 Even if Matthew and Luke used earlier sources for their birth narratives, it’s clear that prior to the resurrection no one was claiming that Jesus was God and using the virgin birth or the visit of the magi or any other element of his birth as proof. By the time that stories or writings about Jesus’ birth were circulating, Christians had already believed that Jesus was the divine son of God, and had been doing so for a few decades. In numerous places Paul spoke about the divinity of Jesus and never once mentioned his virgin birth. That’s because rather than proving anything about Jesus, the birth narratives were meant to explain who Jesus was to people who already believed in him. Miracles are explanatory—they shed light on who God is, his nature and power and compassion. When we look to these stories as proofs, we miss the the message that they are meant to convey. If the first hearers of the gospels already believed that Jesus was both human and divine, what questions do the birth narratives answer? What, for instance, did the virgin birth explain? Luke’s account gives one answer to a natural question—how can a person, born of a normal union between a man and a woman, be divine? Luke answers, “It’s not a normal union. The seed didn’t come from man, it came from God.” This was in large part an answer to the claim of the Roman emperor Octavius, i.e. Augustus (Most High) to be the divine son of the divine Julius Caesar, when in reality he was Julius’ adopted son. God is with us. God saves. It’s a message that the world still needs to hear.